Christmas and New Year have been and gone, and while most people are moving out of the silly season of presents and parties, it feels like ours is about to begin all over again. This month it’s Luke’s birthday and our anniversary (of meeting, not marrying and yes, of course we still celebrate both), I finish work to go on maternity leave and a sweet friend only a few weeks less pregnant than me is throwing my baby shower. Cake and celebration are going to become the norm around here. 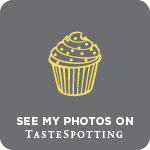 In between the cake and champagne – me scoffing the former and sniffing the latter (with perhaps a little more interest than I have this whole pregnancy, perhaps now the end is in sight) – I’m making room for some simpler sweets. Over the past year I’ve been working with Why Nut Ltd, a company who make specialist nut pastes, to develop recipes for their site. 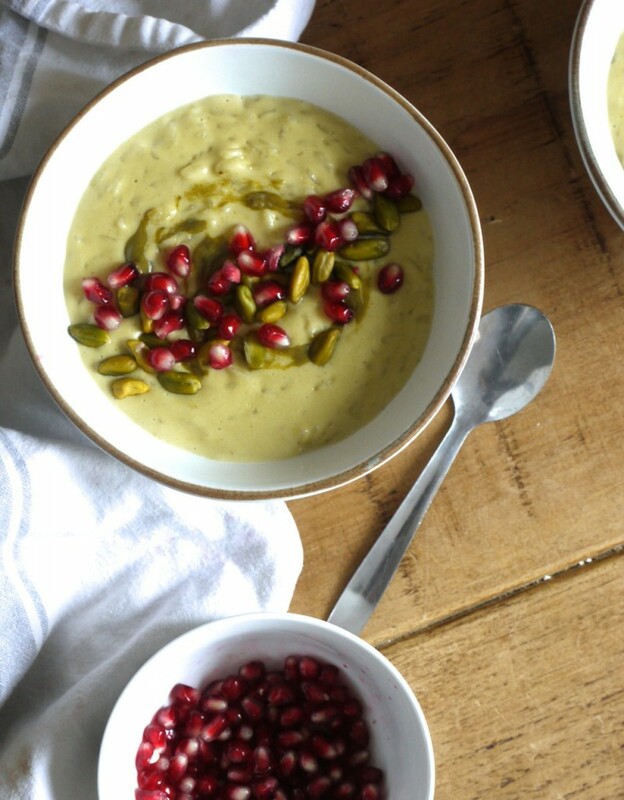 I haven’t shared every recipe in this space, but this Pistachio and Pomegranate Rice Pudding feels like the perfect bowl of comfort to flag for a grey January day. The recipe uses a simple stove top method – no baking or pudding skin debate to address here – and just a handful of staple ingredients: milk, cream, sugar, rice. 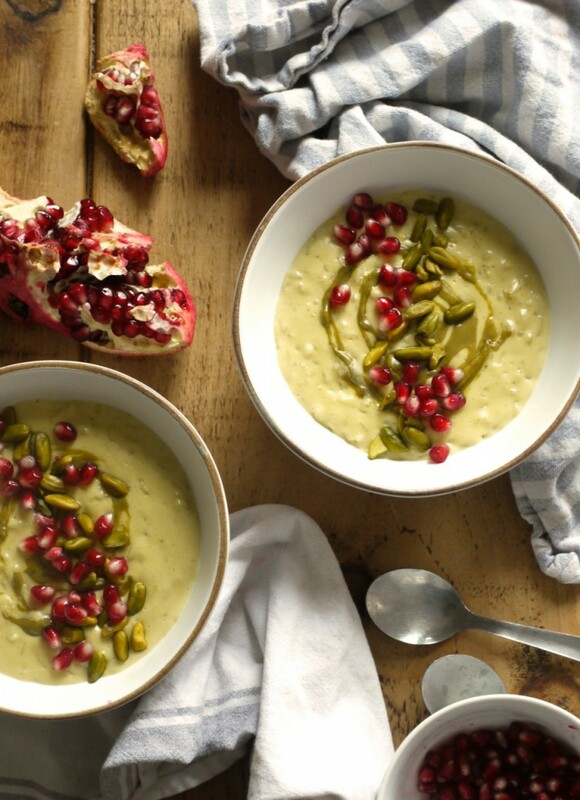 The pistachio paste adds a beautiful creaminess (it’s also delicious in porridge) and pale green hue, with a drop of rosewater to take the flavour profile towards the Middle East, all finished with a jewel-like scattering of pomegranate seeds. If you’re avoiding dairy it can be made with coconut milk and cream, and I’ve also tested it with peanut butter, raspberries and cocoa nibs (omitting the rosewater) with equally delicious results. 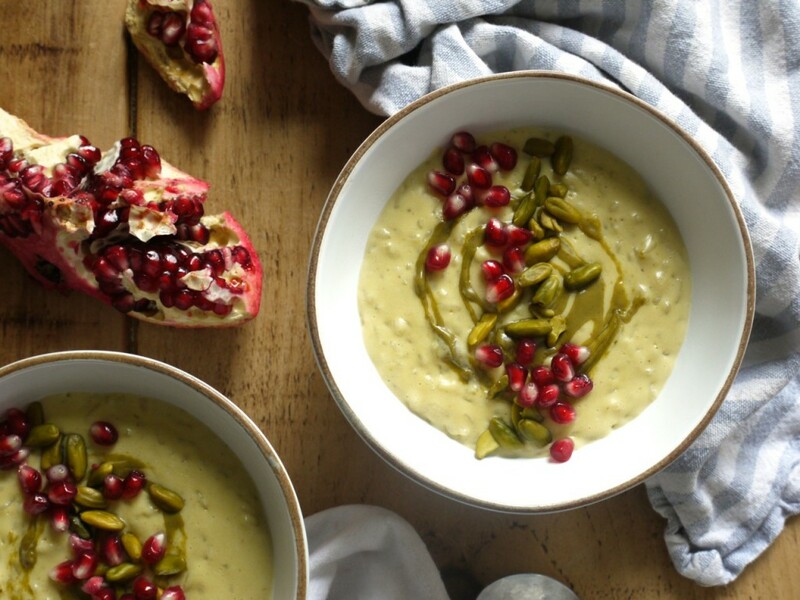 Visit the Why Nut website for the full recipe, along with many others! 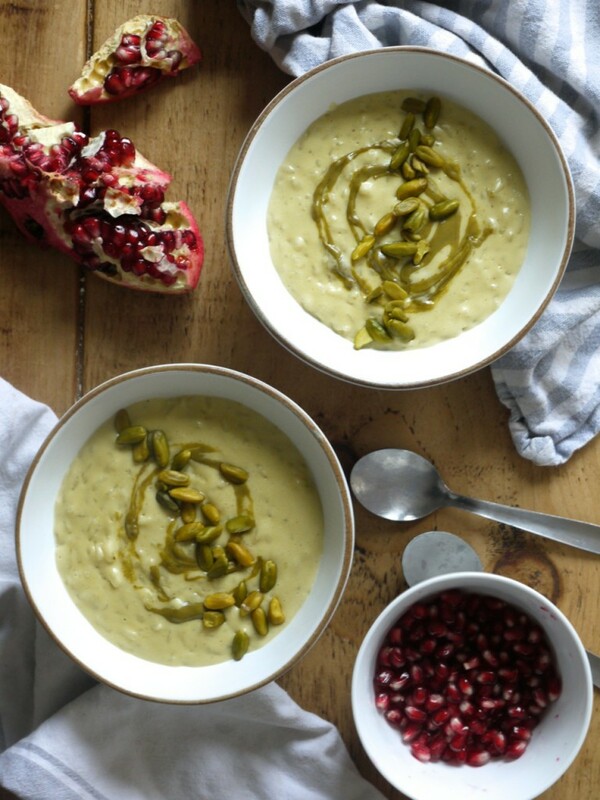 You must have read my mind – I’ve been thinking about making rice pudding for weeks now but I’ve been a little bit daunted as it seems like so much could go wrong in my hands! I think I may have to just jump in! This looks great! I have never had rice pudding or even considered making it, but this recipe totally sparked my interest! 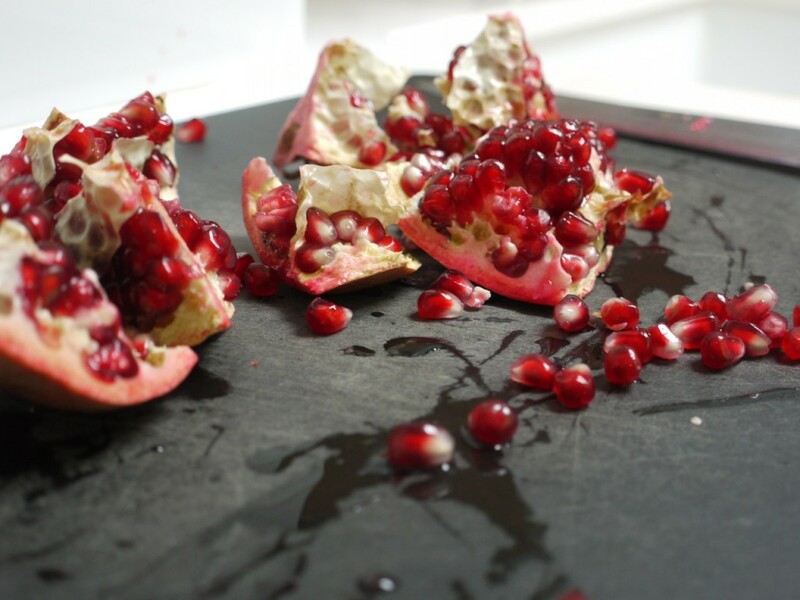 Anything with pistachios and pomegranates is a must-make in my book.